UND Chief Liaison Officer Peter Johnson echoed testimony that UND President Mark Kennedy gave to legislators in Bismarck, saying UND can help the state transition to capture jobs the new age of automation will create through research, innovation and education. Photo by Connor Murphy/UND Today. 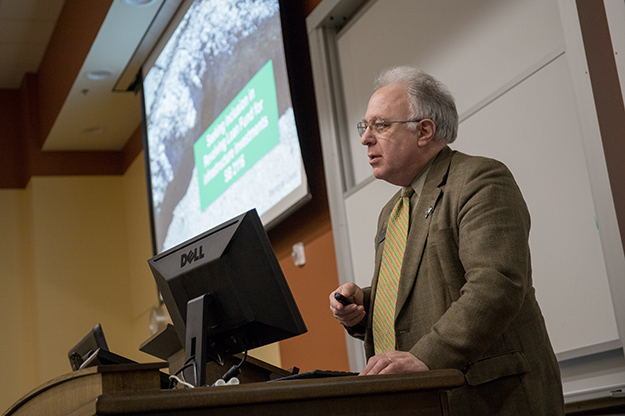 UND – and the state – are at an inflection point, said leaders at the Jan. 24 Provost Forum, where they briefed audience members on President Mark Kennedy and UND’s testimony to state legislators, which took place the previous week. “North Dakota’s economy is changing,” said Peter Johnson, chief liaison officer, as he summarized Kennedy’s testimony. Kennedy emphasized to legislators that the next Industrial Revolution will be about automation and that automation will affect agriculture and energy, North Dakota’s main economic pillars, as well as other parts of North Dakota’s economy. 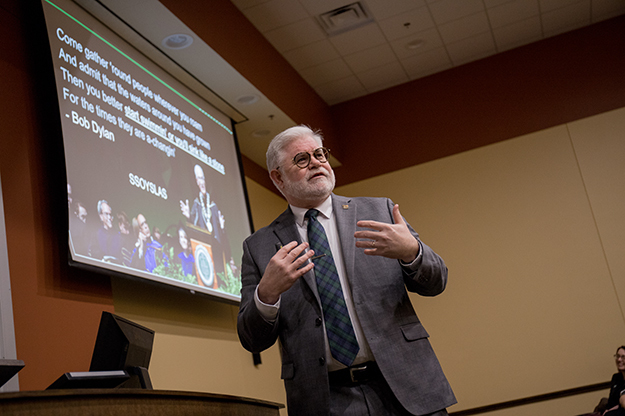 Johnson echoed Kennedy in saying UND can help the state transition to capturing jobs the new age of automation will create through research, innovation and education. 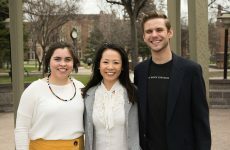 To do that, UND is requesting needs-based funding rather than proposed budget cuts, a 4 percent merit pool for faculty and staff raises, authorizations for building infrastructure, and research funding. With the needs-based budget and funding for research, UND will better position itself to help North Dakota swim, rather than sink, in a new, increasingly digital economy. A summary of the testimony is available here, and Kennedy’s slides are available here (please note that this is a large file). UND Vice President for Finance & Operations Jed Shivers, at the most recent Provost Forum, explained that legislation has been introduced in Bismarck that would enable UND to recruit new faculty and provide research seed money to current faculty in an effort to help diversity the state’s economy. Photo by Connor Murphy/UND Today. Other leaders echoed that message. 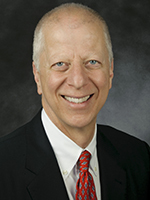 Jed Shivers, vice president for finance & operations, said that increased investment from the state would help UND hire faculty to conduct research, allow UND to perform research with partners who provide matching funds and provide seed money to help faculty become more competitive. 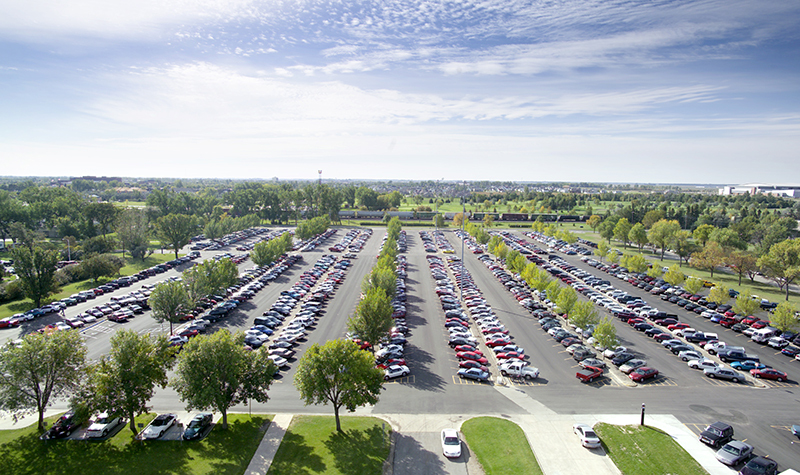 All will help North Dakota grow. “Our message is that the University expanded its research during a time of budget cuts and is doing a good job in difficult circumstances,” said Shivers. 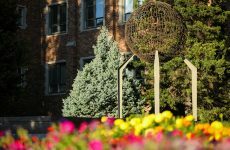 He added that funds in State Senate Bill 2282 will enable UND to recruit new faculty and provide seed money to current faculty that will help diversify North Dakota’s economy and reduce UND’s dependence on state money. Tom DiLorenzo, provost and vice president for academic affairs, said a recent Inside Higher Education headline was that Green Mountain College in Vermont is closing because of low enrollment and financial issues. It’s one of many such closures, he said. He sees investment in research, innovation and quality as key to UND’s future. He cited a recent move by South Dakota to offer in-state tuition to neighboring states. Regarding the budget, DiLorenzo said that Shivers and he are meeting with deans and directors, who are engaging in a budget exercise that responds to North Dakota Gov. Doug Burgum’s 95 percent budget. “We believe it’s prudent to make plans that address a flat budget and budget [cuts],” he said. “We do not want to have across-the-board cuts.” He added that the voluntary separation program is part of the planning. Peggy Varberg, interim director of human resources, said they received 98 applications for the voluntary separation program. Those approved will leave the University by June 30. Staff evaluations have changed, said Varberg, and now require self-evaluations before they go to supervisors. Completed evaluations are due March 29. Johnson ended the forum by comparing the legislative session to a football game.